Prince Harry is set to wed Meghan Markle on May 19. Everyone knows weddings are pricy. Meghan Markle's upcoming wedding to Prince Harry in the UK will take things to the next level. Seasoned wedding planners estimate the cost for the May 19 wedding could reach £1 million ($1.4 million) or more. The cost for special security raises the bill much further. 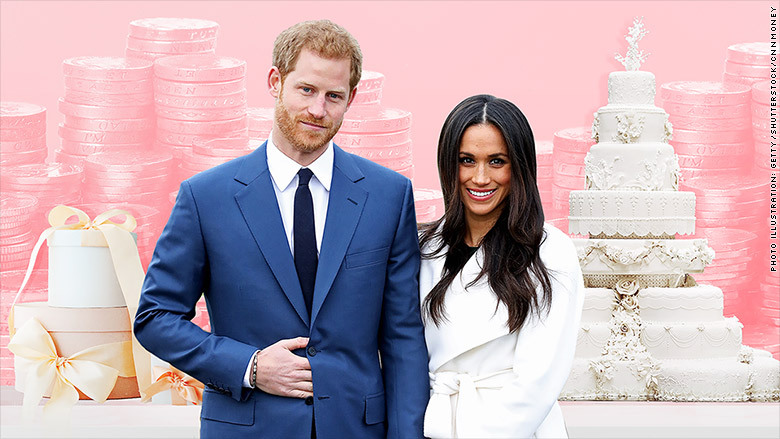 Still, even the most lavish weddings don't generally exceed £10 million ($13.5 million), according to Jamie Simon, head of events at the luxury British event management firm, Banana Split. "There's only so many ideas you can come up with before you [start] inventing ways to spend money," he said. Plus, the couple is getting some things for free. Swipe through to review a breakdown of the expected costs. Will Meghan Markle be a princess?